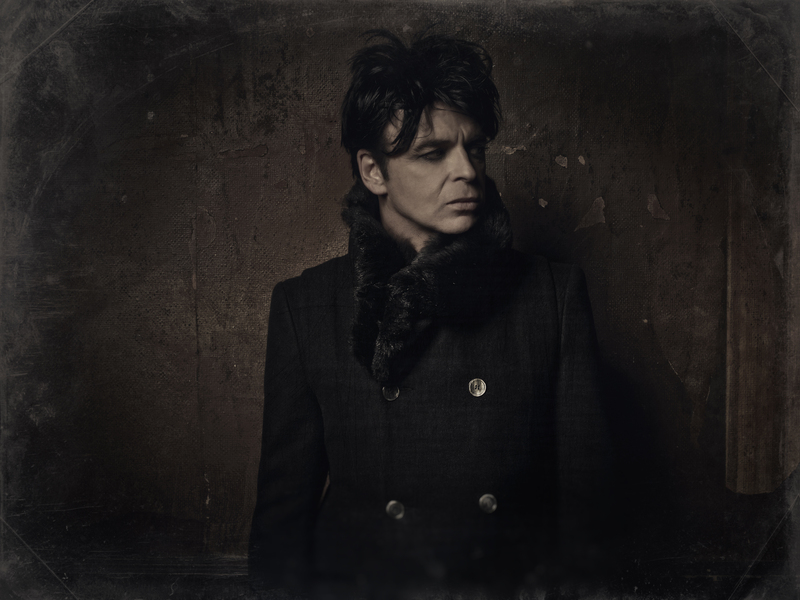 This year’s Cork Jazz Festival headliner Gary Numan talks to Robbie Byrne about pioneering electronic music, retiring at twenty-three, and resurrecting a flat lined career. Call it good fortune, but it seems the timing is nigh on perfect as we hit a candid Gary Numan up on the eve of receiving Q magazine’s prestigious Innovation In Sound Award. Numan’s career thus far reads a little like those Bond films of late: electric opening/ forgettable midsection/ thrilling finale. Appealing to punk kids and pop aficionados in equal measure, Numan hijacked the imagination of late-seventies Britain with his breakout single Are ‘Friends’ Electric – an oscillating aural odyssey that appeared, to British press at least, to come from another realm. Sure, Numan’s android aping image helped, but as he explains today, creating a blueprint for the electronic music we know today was never all that intentional. “I had no real ambitions to revolutionize music,” says Numan. “I was just trying to find something new and exciting – something that would allow me to make sounds that intrigued me. Within months, a musician who briefly flirted with London’s underground punk scene was thrust into popular culture’s unforgiving spotlight. His third LP, The Pleasure Principle, shot straight to number one, a feat aided by the new wave juggernaut, Cars. But then, like specter that dropped him here, Numan disappeared. Bizarrely for one so eager to escape the spotlight, Numan opted to go out with a bang – plumping for London’s Wembley Stadium as the venue for his farewell extravaganza. It’s a decision that he rues to this day. “Wembley was a huge error of judgment. Pulling back from the public gaze was a sensible thing to do, but making a big song and dance about ‘retiring’ was stupid. Struggling to earn a living, a desperate Numan returned to music two years later – dabbling in whatever was fashionable to grasp a foothold in the charts. Though it would be easier to lay blame on hollow claims of homosexuality and political conservatism by the British press, Numan’s frankness on a period that almost saw him file for bankruptcy is refreshing – avoiding the all too common artistic pitfall of blaming someone or something out of their control. Still, much of this retrospective frankness has only been made possible by the recent rejuvenation of his career. A rebirth that can trace it’s way back to one good deed. “My wife Gemma arranged a guest spot with Nine Inch Nails frontman Trent Reznor for his performance at London’s 02 Arena in the summer of 2009,” he explains. “I’d been depressed for quite some time, so I guess this was her way of saving me. Granted, Reznor wasn’t the only one that got Gary Numan back on track – remember the Sugababes’ Numan-inspired rework of “Freak Like Me”? But Numan, unlike any other artist I’ve encountered, needs confidence to thrive. His most recent offering, Splinter, sees the London native darker, bolder and more brilliant than ever before. Lauded as Numan’s best LP to date, the singles it spawned graced the US airwaves more than any release since his seminal work The Pleasure Principle. “After my depression came a surge of optimism,” he says. “A drive I had that had been absent for long time.